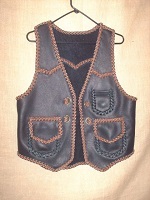 Check out these other sections of my web site. 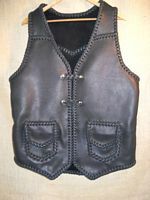 I encourage you to read my guest book to see what others have said about the leathers they have purchased from me. 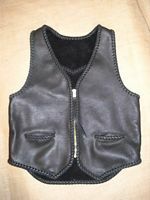 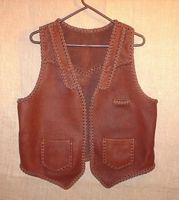 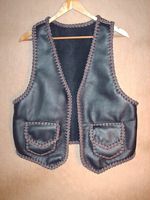 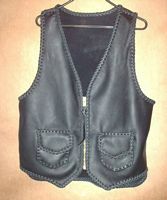 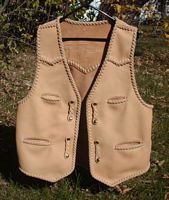 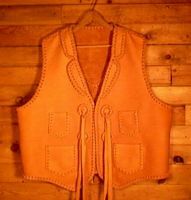 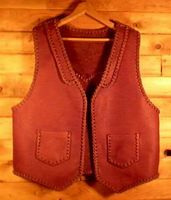 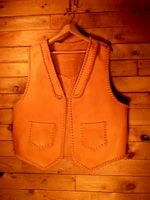 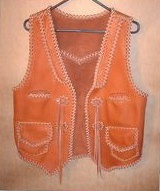 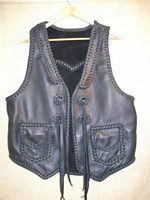 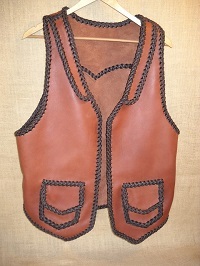 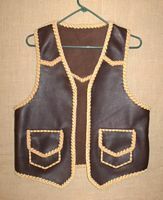 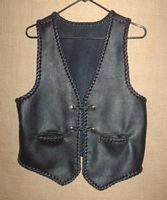 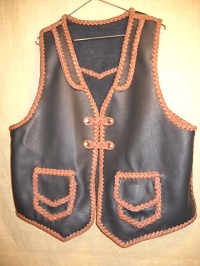 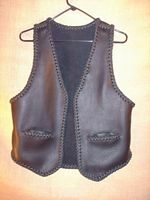 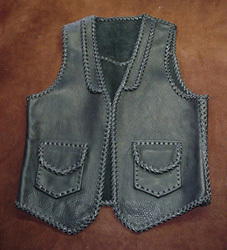 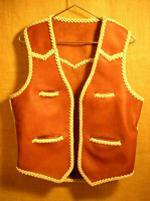 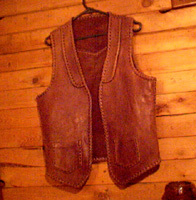 Since the mid 1970's, I have custom designed and built hundreds leather vests like these. 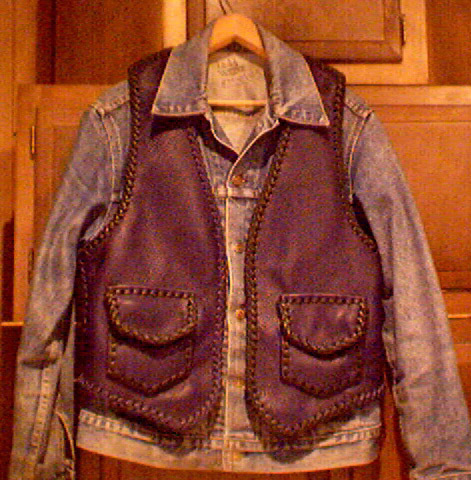 The 4 oz. 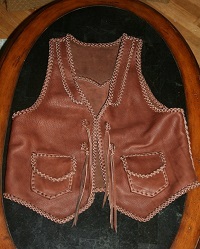 (weight/thickness) cowhide leather I use is often called chap or moccasin leather. 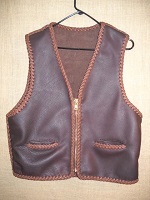 It is made/tanned in the US and non-toxic. 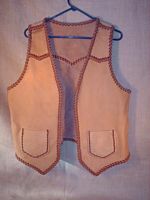 I individually design and personally handcraft each of these vests. 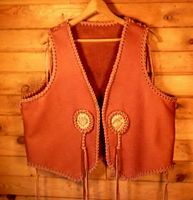 Everything on my whole web site is truly handmade - no electricity is used in its construction. 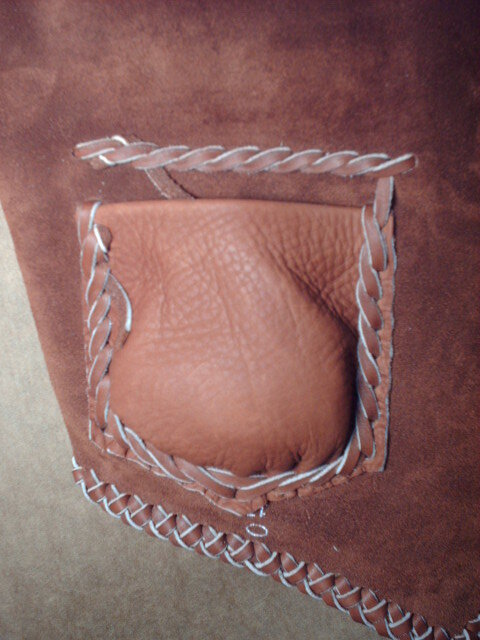 Patterns are drawn and laid out, then the holes are punched one at a time. 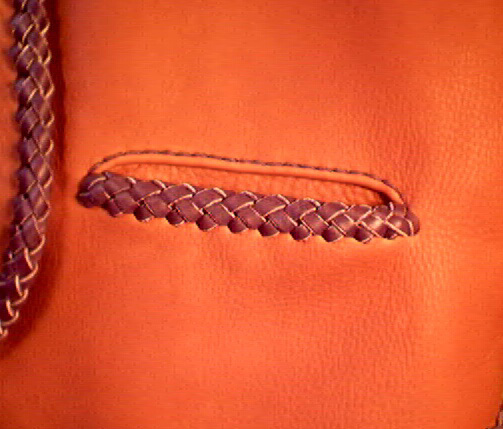 I then cut the laces (from the same leather) and braid them together. 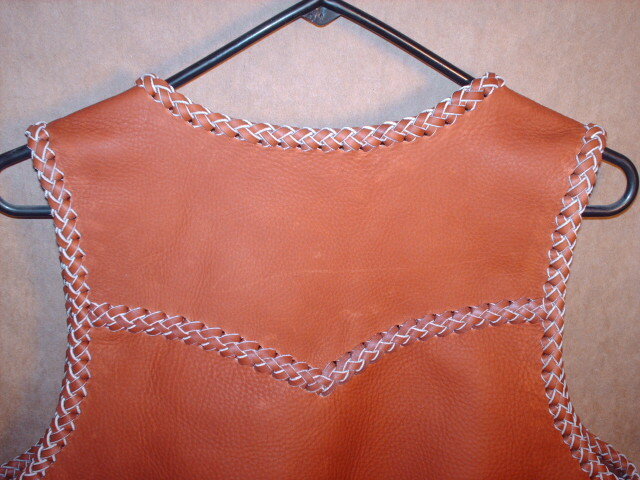 All of the sewing (primariy for zippers) is done by hand using 5 ply nylon thread. 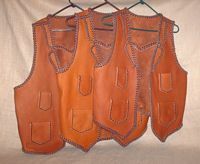 All the vests are made with features that the buyer has requested ...making them quite different from one another, truly one of a kind custom pieces. 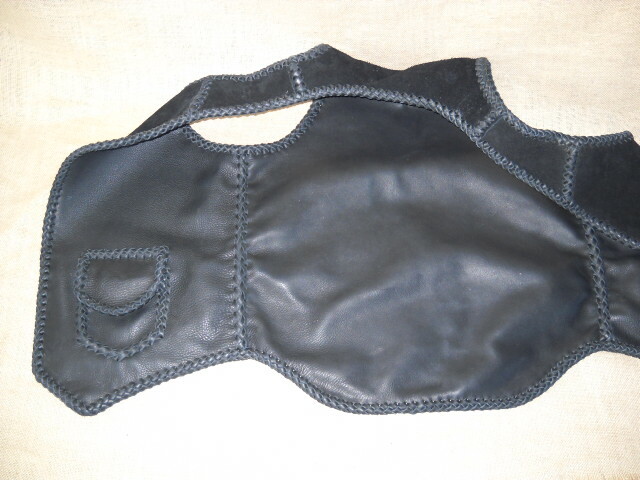 None of them have a lining - this makes them very durable and they far outlast any lining I would use with them. 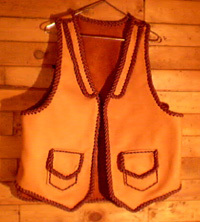 The cost of these vests are usually around $600 - larger sizes, or many/elaborate features, etc. 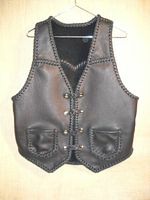 may affect that cost. 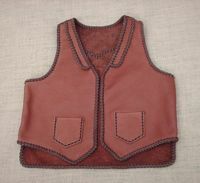 For what you get, they are not very expensive. 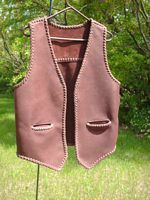 I make them with (or without) several different features such as lapels, yokes on the front and/or back, different lengths, etc. 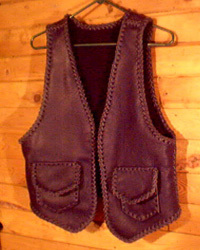 I've developed a variety of pockets to select from. 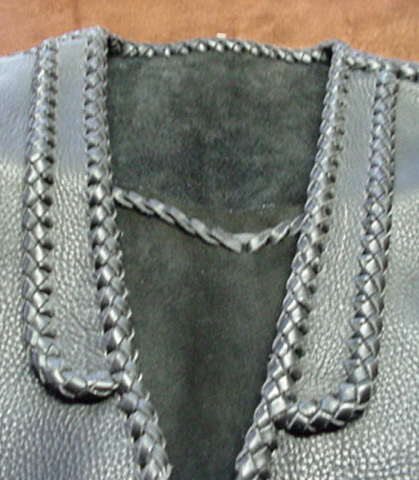 (1) Size - a chest measurement. 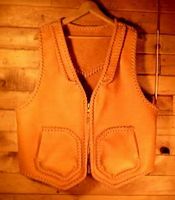 Using a chest measurement is better than a jacket, suit coat size because those sizes can vary from one manufacturer to the next. 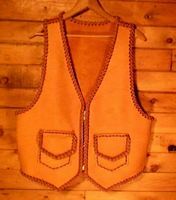 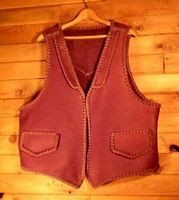 Another good way to assure the best fit is if a person already has a good fitting vest that can be sent to me to get a pattern from - alterations to that vest can be made. 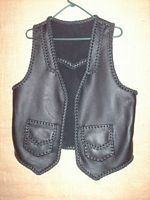 I can return the vest with no damage done to it. 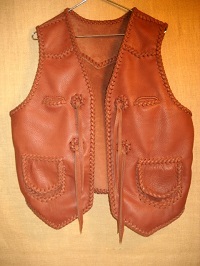 (2) The length is usually a measurement from the base of your neck (where a vest rests) to your belt line. 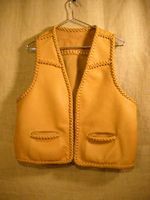 (4) Do you want lapels or yokes on the front? 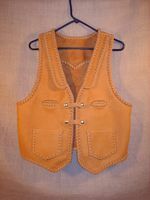 There are even different kinds of lapels or yokes to consider. 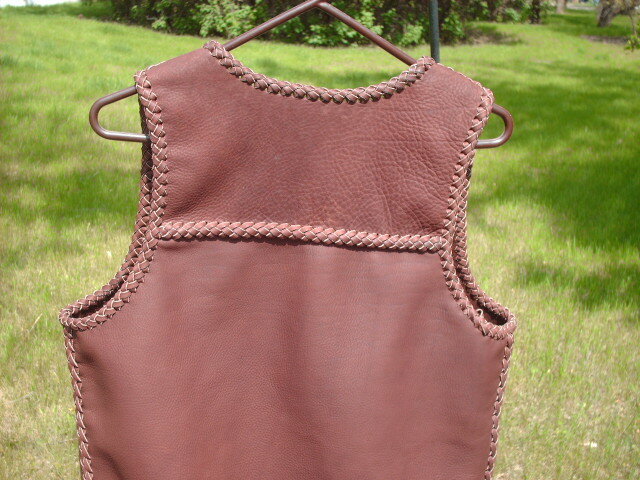 Check out close up pictures of these features on vest links above. 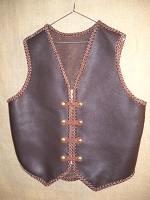 (5) Do you want a yoke on the back? 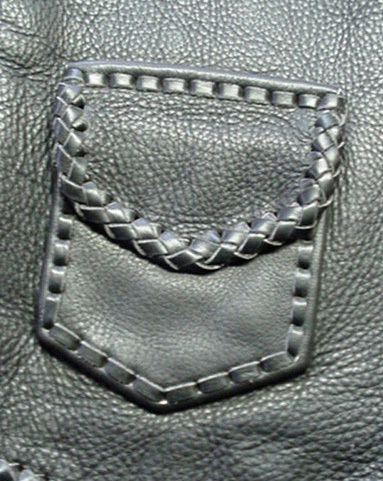 A pointed one, double pointed, straight across the back, or chose your own way. 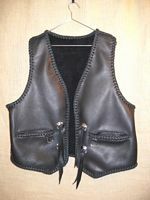 (6) Pockets- Most often, I use a patch pockets. 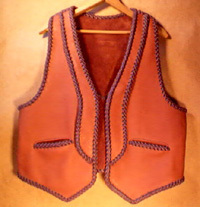 Often they are built with a flap. 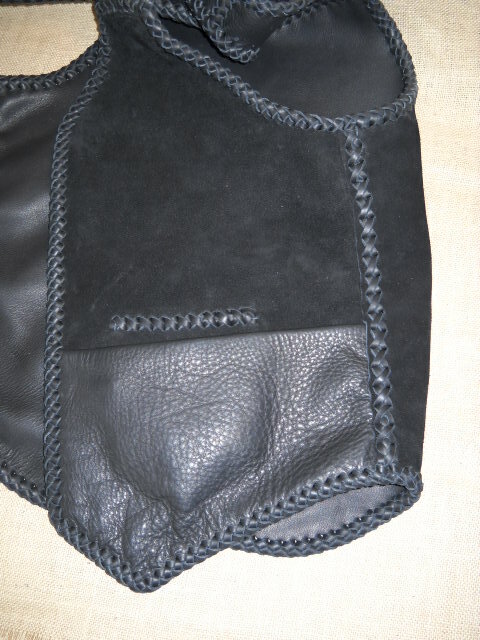 Most of these patch pockets also have a pocket on the inside - in the same location using the same holes. 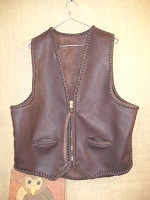 I also use what I call a slit pocket. 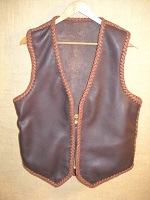 I have also built variations of this slit pocket with a flap over it. 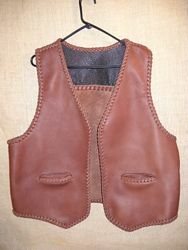 I may even inquire about the angle a person would like these slit pockets to be on the vest. 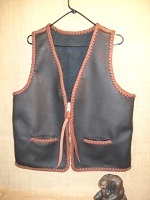 There is another style of pockets that I build and call panel pockets on the lower/inside of the front panels. 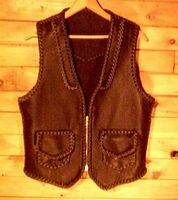 (8) When these vests are going to be worn over a jacket, let me know and I will make the arm holes a bit larger and adjust the back of the neck slightly to accommodate. 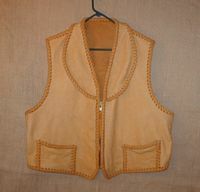 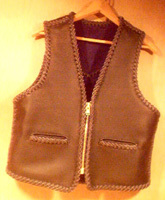 (9) I make vests with what I call a draft flap (a longer back). 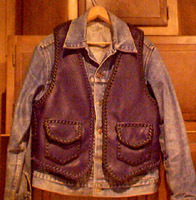 Usually, I make them 3" longer. 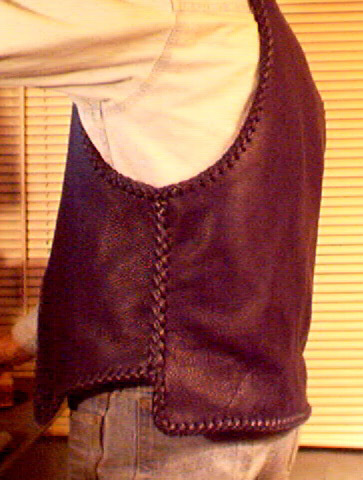 I've made these with different lines across the bottom/back - here is another way that I can make them. 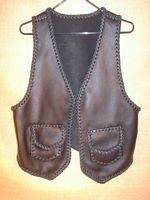 These have become quite popular for my vests. 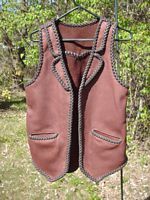 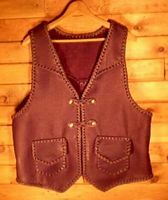 I consider every vest I've made a one of a kind. 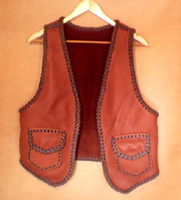 Even if I had an order to build two vests exactly alike - there would be differences.